Hi, everybody! You all do great job! I hope my works will be useful and interesting for you too! 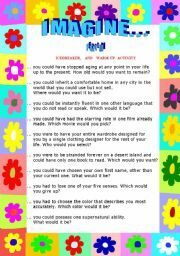 Reading task for intermediate students. Speaking activity. Excellent for warming-up! Includes B/W page. The next part of IMAGINE series. Speaking activity. I use it for warming-up. Includes B/W page. 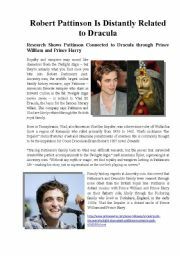 Hope you�ll like it! I use the questions as a game. It�s a perfect warm up activity. Hope it�ll be useful! I thank all the teachers who downloaded the previous parts! 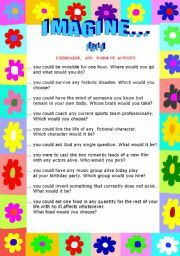 This is the next set of questions excellent for warming-up with B/W page. At least one more part is coming soon. 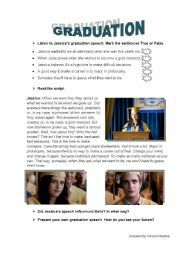 Scene from the movie Eclipse where Jessica makes her graduation speech. Listening activity (True/False) and speaking (writing)task. 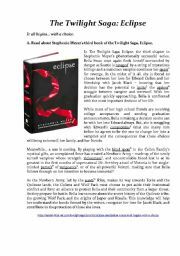 It�s reading task about Stephenie Meyer�s third book Eclipse. 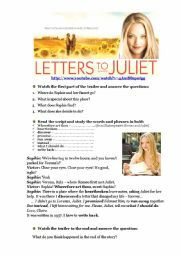 Includes vocabulary excercise and the key. 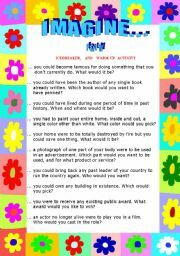 Reading task based on an article + excercises. Reading and speaking task for intermediate students.